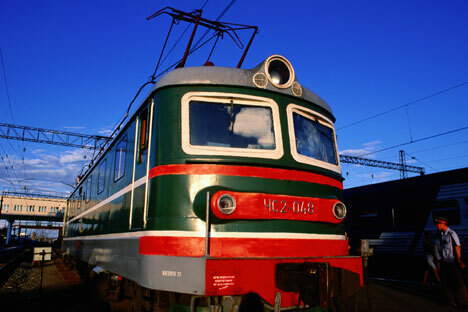 The state and Russian Railways (RZD) will plough $14 billion n into extending the Trans-Siberian Railroad to boost development of the Far East, as Russia's infrastructure continues to rapidly turn towards Asian markets. Prime Minister Vladimir Putin outlined plans for the rail project on Dec. 5 at a conference of United Russia officials from the Khabarovsk region, reported The Moscow Times. The prime minister said that the new track would help expand commodities production and investment in the country's Pacific regions. Putin claimed that modernization of key ports, including Vanino, Nakhodka and Sovietskaya Gavan, was being "held back by bottlenecks" on the Baikal-Amur Mainline (BAM), one of two main railroads crossing Siberia. "In the next few years, we'll need to upgrade the Trans-Siberian Railroad and significantly increase BAM's throughput capacity. Until just recently, I was being told that BAM had been built, but that it wasn't being used," Putin said. "But now BAM's capacity is insufficient, and this has taken place in the past three or four years." BAM-2, as the new project is being called, will cost an estimated 448 billion rubles ($14 billion), including 380 billion rubles for infrastructure, state-owned RZD said in a statement. The expansion "will require major funding, but all of it is justified," said RZD president Vladimir Yakunin. "The realization of this project will certainly require financing from the federal budget." In October, Yakunin told a conference in Moscow that the government and major state companies had been taken by surprise by the sudden demand for Russian infrastructure to turn away from traditional customers in Europe and towards energy hungry Asian markets. Yakunin said in late November that he expects freight rail to China to expand by up to 100 percent over the next decade. Putin moved to dampen Yakunin's expectations of the level of state finance for BAM-2 however. "Of course, there's the Finance Ministry and there are limitations to budget funding, but there are also priorities," he said. "This isn't dependent on the Finance Ministry, but above all on you."